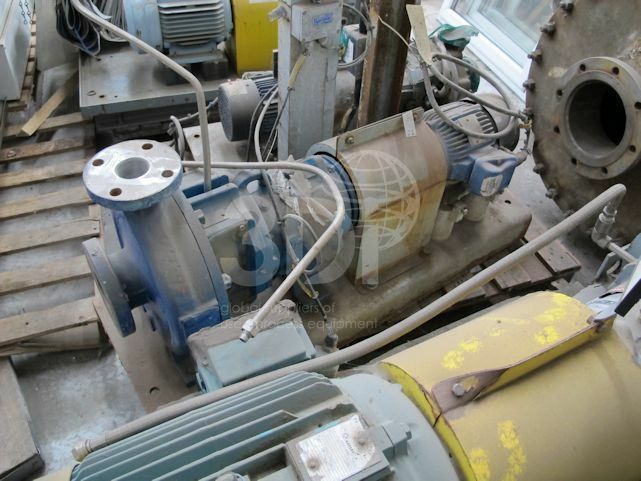 Used 15m3/hr Centrifugal Pump, built by Durco (Flowserve), 1996, Model: Mark 3, Size 2K3x2-10A84 RV, Serial No. 424050. Material of construction: DC3 hastelloy. 16.2m head, 80mm inlet, 50mm outlet, double mechanical seal, comes complete with 3kw Brook Crompton Electric Motor.